TRENTON, NJ ­— On April 15, the New Jersey Office of Homeland Security and Preparedness (NJOHSP) launched the federal Nonprofit Security Grant Program (NSGP) application process. Interested nonprofit organizations have until May 10 to apply. The Regional Intelligence Academy (RIA) is a training partnership comprised of NJOHSP, the New Jersey State Police, and the public safety agencies represented in the New Jersey Urban Areas Security Initiative (UASI) region. The curriculum aims to teach intelligence tradecraft to law enforcement, first responders, the private sector, and intelligence analysts throughout New Jersey, New York City, and the Philadelphia area. These programs also help design strategies, systems, and activities that provide for intelligence and information exchange and sharing. Listen to our latest episode to understand more about the RIA and the services it provides to the intelligence community in the region. On March 15, suspected white supremacist extremist Brenton Harrison Tarrant, a 28-year-old Australian man, attacked two mosques, killing 50 and injuring 50 others in Christchurch, New Zealand. In the immediate days following the attacks, various international terrorist groups and other white supremacist extremists commented on the attack, either condemning and calling for revenge or showing their support. In today’s podcast, our analysts will discuss how these various extremist groups have responded to this attack and implications for future threats. FREEHOLD, NJ — On March 20, the New Jersey Office of Homeland Security and Preparedness (NJOHSP), through its New Jersey Cybersecurity and Communications Integration Cell (NJCCIC), hosted the first NJCCIC Cyber Symposium at the Event Center at iPlay America in Freehold. The event brought together over 300 members of public-sector organizations, including state, county, and municipal governments and authorities, as well as K-12 and higher education institutions. The New Jersey Cybersecurity and Communications Integration Cell (NJCCIC) assesses that cyber threat actors pose a moderate threat to New Jersey. The continued growth of IP-enabled devices for both personal and business uses will result in an increased attack surface for threat actors to target, impacting attached physical systems. Tune in to the final installment of our 2019 Threat Assessment series as the NJCCIC analysts delve deeper into the cyber threats facing the State of New Jersey and its citizens. Domestic extremists’ wide-ranging ideologies pose unique challenges to New Jersey and the surrounding region, as they employ a variety of robust methods to conduct attacks, have varying motivations, and are often willing to engage in violence. Tune in to the next installment of our 2019 Threat Assessment series as our analysts sit down and discuss the evolving tactics of domestic extremists in 2018 and what the threat landscape posed by these groups will look like this year. HAMILTON, NJ­ — Students in search of a rewarding experience this summer are encouraged to become valued members of the New Jersey Office of Homeland Security and Preparedness (NJOHSP) through the Office’s Internship Program. Qualified applicants will have the opportunity to contribute to ongoing projects while learning from some of the top homeland security professionals. TRENTON, NJ — On February 19, Governor Philip D. Murphy encouraged young women in New Jersey’s high schools to take advantage of an opportunity to explore their aptitude for cybersecurity and computer science by trying to solve the challenges of the 2019 Girls Go CyberStart program. Previous knowledge and experience in information technology or cybersecurity are not needed to participate. A computer and internet connection are the only requirements to take part in this program, which comes at no cost for schools and students. Although overseas, foreign terrorist organizations pose unique challenges to homeland security professionals and law enforcement. These groups attempt to conduct attacks within the United States and have plotted to target US infrastructure as well as overseas US interests. In 2019, ISIS will maintain its insurgency in Iraq and Syria, support its global affiliates, and attempt to inspire attacks through propaganda dissemination, while al-Qa’ida and its affiliates will focus on targeting Western interests abroad, also disseminating propaganda to its followers, and attempting to expand its operations in West Africa. In this episode, our analysts discuss what 2018 looked like for these foreign terrorist groups, how they have evolved over the years, and what threat they may present to the State of New Jersey. Homegrown Violent Extremists (HVEs) are individuals inspired—as opposed to directed—by foreign terrorist organizations and radicalized in the countries in which they are born, raised, or reside. These organizations continue to call for attacks in the West, despite the groups’ inability to execute large-scale attacks in recent years. HVE support in the United States for foreign terrorist organizations will remain unremitting, despite a decline in HVE attacks and overall activity since 2015. In 2018, there were seven individuals involved in attacks and plots nationwide and eight others charged with material support. Join us as we discuss why HVEs remain the highest threat to New Jersey due to their sustained support of foreign terrorist groups, the unpredictability of attacks, and their susceptibility to online propaganda. 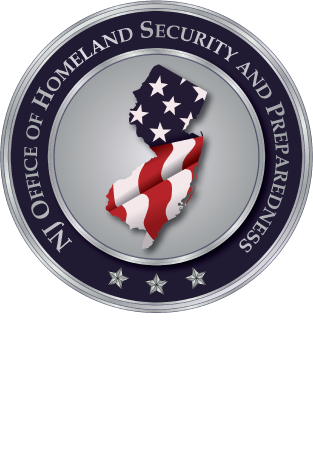 HAMILTON, NJ ­— Director Jared M. Maples of the New Jersey Office of Homeland Security and Preparedness (NJOHSP) unveiled the 2019 Terrorism Threat Assessment detailing the threat landscape throughout the State. The assessment provides information regarding the activity of homegrown violent extremists (HVEs), domestic terrorists, and international terrorists, as well as cybersecurity vulnerabilities and threats to first responders. The Regional Operations Intelligence Center (ROIC) is New Jersey’s state fusion center, a joint interagency intelligence enterprise comprised of 175 personnel from various law enforcement and public safety agencies. The ROIC is the State’s hub for intelligence and includes input and personnel from agencies such as the FBI, US Department of Homeland Security, NJOHSP, and numerous state, county, and municipal agencies. Analysts from all partnering agencies collaboratively link data to create “actionable” intelligence that guides tactical investigations in real time. The ROIC is also the home for the Office of Emergency Management and State Emergency Operations Center, and it serves as the command center for all State-led emergency response operations, such as natural disasters, chemical/nuclear emergencies, and terror alerts. During emergency response missions, the ROIC serves as the gateway for situational information and requests for aid. It allows a coordinated and measured response by matching requests with resources and personnel run by federal, state, and local agencies. Join us as we explore the inner workings of the ROIC and its whole-of-government approach to providing intelligence and resources across all threats, all crimes, and all hazards. In October, Robert Bowers targeted members of the Jewish community when he entered a Pittsburgh synagogue and opened fire, killing 11 people and injuring six. It was an attack not only toward members of that congregation, but also against all citizens throughout the United States who should be able to go about their daily lives without fearing for their safety at any event or venue. The threat from individuals who similarly wish to do harm has hit home in New Jersey as well. In May, NJOHSP detectives arrested and charged a sovereign citizen extremist for the first time under a new State statute for filing fraudulent liens. In October, an anti-government extremist transported explosive materials through our State with the goal of conducting an attack on Election Day in Washington, DC. That same month, Cesar Sayoc Jr. mailed Cory Booker and 15 other Democratic figureheads packages that contained improvised explosive devices. These incidents further demonstrate the wide-ranging ideologies associated with domestic terrorism and have only further strengthened our Office’s resolve to protect the diversity that makes New Jersey so unique. Join us as we discuss the upcoming release of NJOHSP's 2019 Terrorism Threat Assessment and the threat extremist groups pose to New Jersey in 2019.